Time Warner’s breakup has probably gone far enough. Boss Jeff Bewkes dismantled the media conglomerate, spinning off AOL, Time Warner Cable and Time Inc. Shrinking further lacks a compelling financial rationale. The real question is when Time Warner will again attract a suitor. Nothing appears sacred to Bewkes, who just extended his contract by three years through 2020. His systematic paring of the company since becoming chief executive in 2008 has helped lead to a 143 percent shareholder return through Dec. 31, including reinvested dividends. That’s better than rivals CBS and Discovery Communications, but worse than others including Walt Disney. There’s reason to suspect Time Warner isn’t getting full value for what’s left. Hiving off another piece might not be worth the trouble, though. Take HBO, the crown jewel that has become a subject of discussion for some investors, according to media reports. The pay-TV network home to “Game of Thrones” is expected to generate EBITDA of $2.1 billion this year, according to Cowen analysts. Valuing the HBO enterprise at a multiple of about 15 times, well above rivals Starz and CBS but far below where faster-growing Netflix trades, would mean it’s worth about $32 billion. The Turner channels including CNN and TBS, which rely on the choppy ad markets, are more akin to Discovery and Scripps. Rounding up, they trade at eight times this year’s estimated EBITDA, which would give the division a value of $37 billion. And the Warner Bros. studio, producer of hit movies and TV shows like “Creed” and “Blindspot,” if valued similarly to Twenty-First Century Fox and CBS at nine times EBITDA, would clock in at some $17 billion. Add it up and Time Warner would be worth about $86 billion. Subtract $21 billion in net debt and the equity would be worth $65 billion, or less than a fifth more than the company’s current market capitalization. That isn’t a big enough potential gain to offset the complications and costs of a spinoff or the loss of Time Warner’s stronger negotiating position with cable operators and other notable benefits of keeping the parts together. A more likely – and lucrative – scenario would be a buyer for the whole. Verizon and AT&T have signaled clear interest in owning makers of content. The bold ambitions of Comcast boss Brian Roberts also are no secret. Rupert Murdoch’s Fox made a run at Time Warner in 2014, and could easily return. 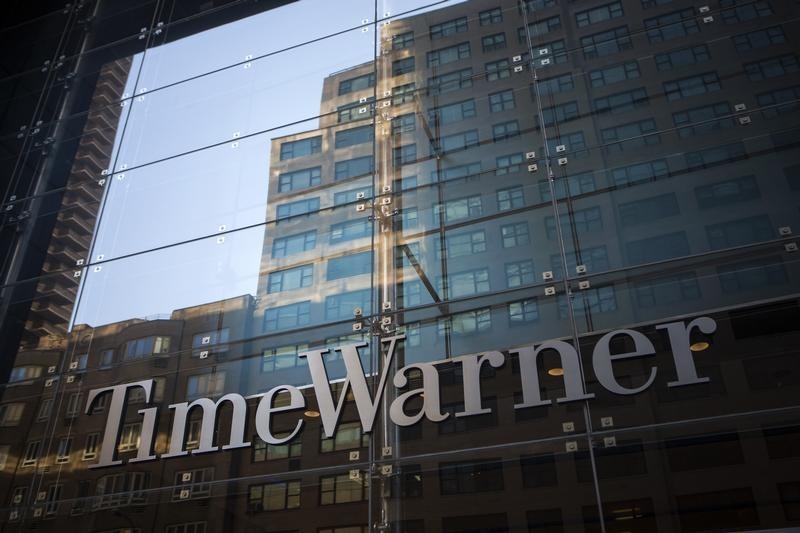 The Time Warner tale is no longer about getting smaller, but rather bigger elsewhere. Time Warner Chief Executive Jeff Bewkes told investors in a series of private meetings that he is against a sale or spinoff of HBO, according to a Jan. 12 article in the New York Post. The newspaper reported on Jan. 7 that activist shareholders may be angling for such a separation, also citing unnamed sources.